Ann Cooper has a frontline view of the daily battle to keep kids healthy -- and of the enemy, the processed-foods industries that, it sometimes seems, want to wrap every single thing that children eat in a fried coating and then a plastic bag. As the director of nutrition services for the Berkeley (California) Unified School District, she's an outspoken activist for serving fresh, sustainable food to kids. 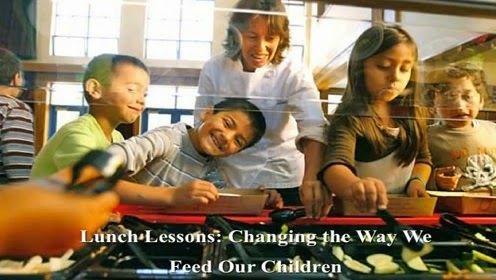 Her lively website, LunchLessons.org, rounds up recipes, links, and resources for food activism. Cooper's influential program in Berkeley involves kids in every stage of the food they eat, from growing to disposing of it. And along the way, eating some delicious cafeteria lunches. She's the author of several books, including Bitter Harvest, an examination of the food chain, and her latest, Lunch Lessons: Changing the Way We Feed Our Children."